Signature Engraving - is an Australian, family owned business that has been the operating in the northern suburbs of Melbourne for the past 15 years. We are the longest running engraving business of its type in Australia and are committed to achieving the highest levels of customer service. We deliver Australia Wide but also have customers as far afield as China, New Zealand and Malaysia, amongst others. 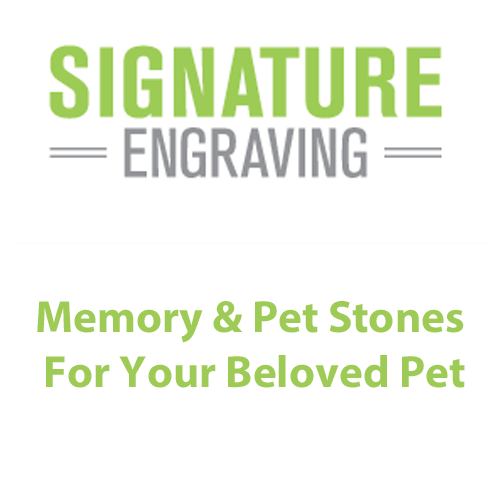 We have a range of products including Memory and Pet Stones to mark the passing of a Pet. We pride ourselves on offering the broadest range whilst also achieving the highest quality and durability of our engraved products. Due to our engraving techniques, we are also able to customise our masonry engraving to suit almost any application - something that our competitors cannot! Our experienced and dedicated staff set themselves the highest benchmarks in terms of craftsmanship and are more than happy to assist you in making your fundraising or engraving project a resounding success. Please do not hesitate to give our office a call to discuss your engraving / fundraising options!